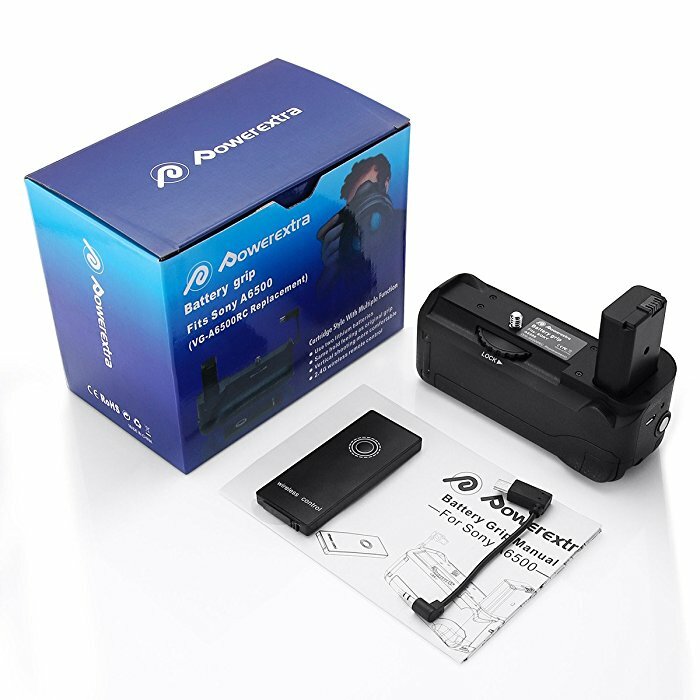 Pro battery grip for Sony Alpha A6500 Mirrorless Camera. 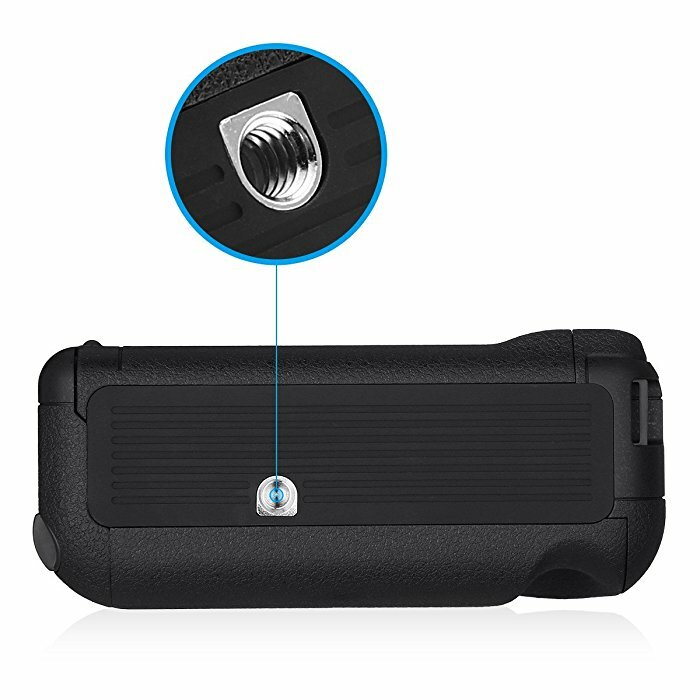 This quick-release battery grip can hold 2 pcs NP-FW50 batteries to effectively double the camera’s battery life. 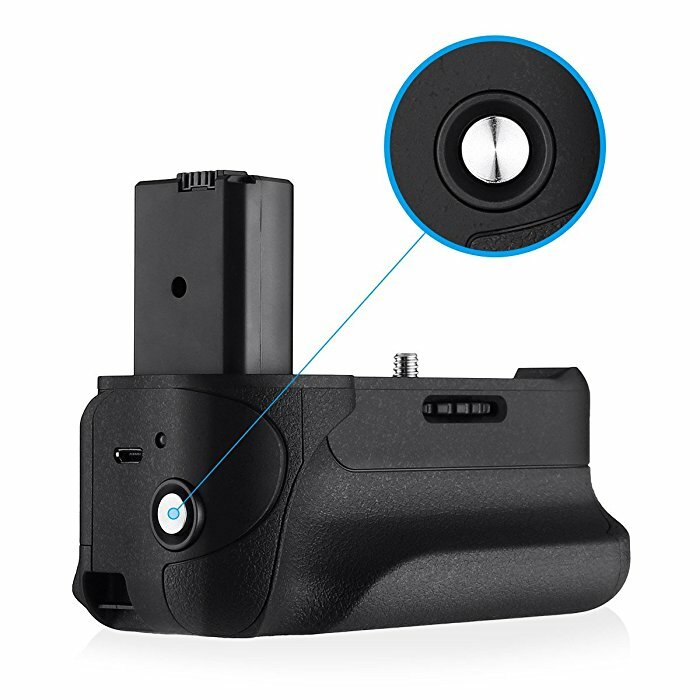 The replacement battery grip works perfectly for Sony Alpha 6500 ILCE-6500 Digital SLR Cameras. A tripod socket on the bottom of the grip can be mounted on a tripod, lightweight, horizontal and vertical shutter fit different shooting experience. 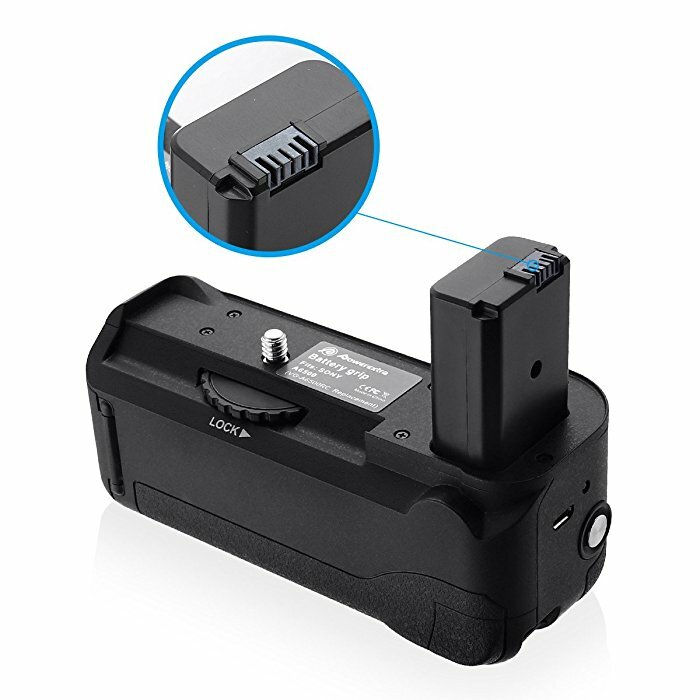 This battery grip has the same function with original VG-C1EM battery grip. The grip has a nicely-finished surface that’s made of PC + GF10 + striae process. 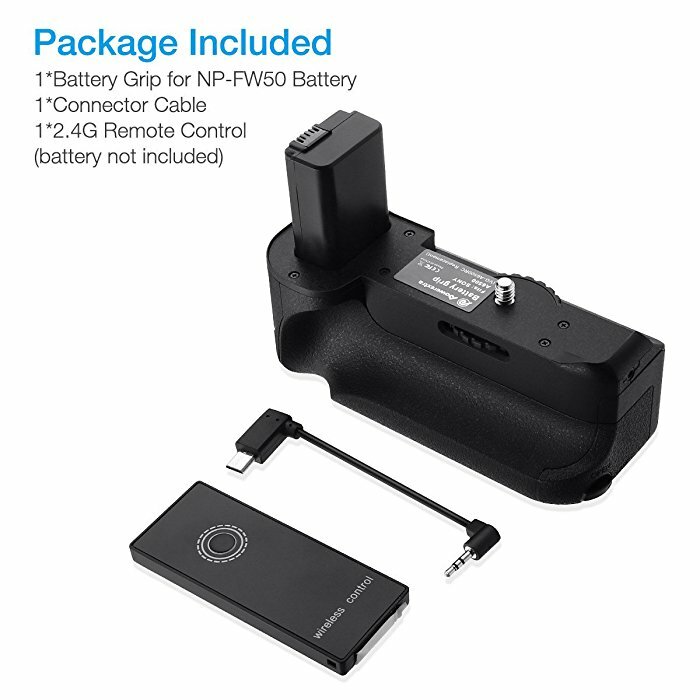 The replacement battery grip for Sony Alpha A6500 Mirrorless Camera can hold 2 pcs NP-FW50 batteries to effectively double the battery capacity for shooting. 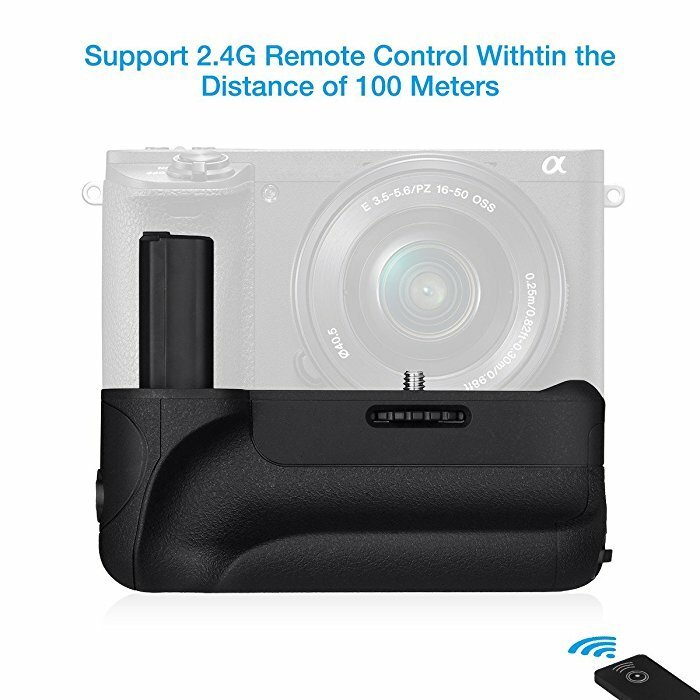 The battery grip has an advanced infrared remote control function that allows you to control the shooting wirelessly from a distance, up to 100 meters. 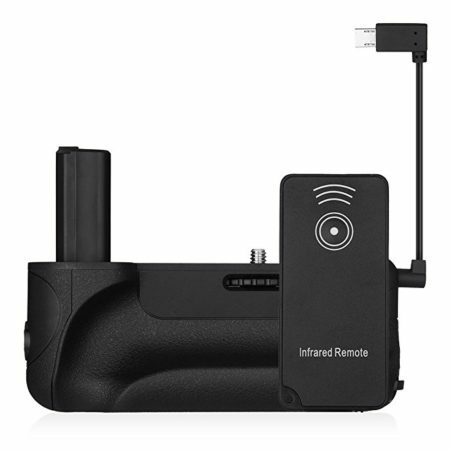 Powerextra guarantees good battery performance with first-rate battery cells and reliable battery specifications.